The Prescott Evening Courier reported on the 23 July 1929 that pilots Dale ‘Red’ Jackson and Forest O’Brine broke the then world record for continuous flying — 271 hours worth! The other motive — or reason, at least — was the fact that Mrs Jackson had told her husband not to come down until he had learned to play the ukulele. “That” said she, “would keep you up there for quite a while.” He must have been a virtuoso by touch down time. Seemed to have been a number of racehorses named after the Ukulele in the 1920s, some for good — some for not so good — reasons. The New Zealand Truth reported in April 1929 that some funny business had been going on at the local trotting meet (that’s a horserace where the jockey sits in a little cart which the horse pulls along). Apparently a new comer, Ukulele Lady, did very well at its first race in NZ — surprisingly well, in fact, until it was discovered that ‘Ukulele Lady’ used to be called ‘Pandora’ in Victoria, Australia, where it had quite a good reputation (3.34 over 1.5 miles and 4.45 for 2 miles). 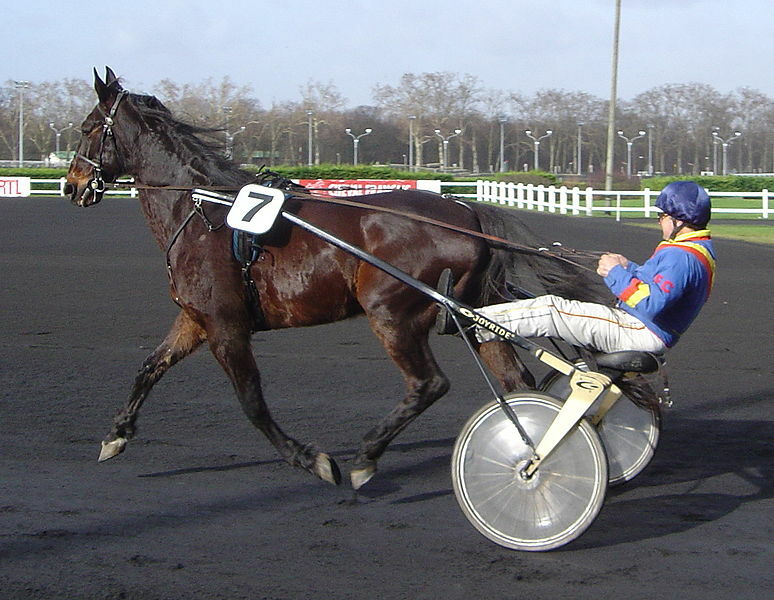 Somebody just forgot to mention these facts of history and nomenclature to the handicapper. Things do slip one’s mind from time to time. Another trotter, Ukelele Lady (we assume it was a different horse), in November 1929, was also doing very well, running the first mile in 2.2o, but was finally beaten by the proverbial nose. New York Times, February 3, 1929, (Sunday Section: Arts & Leisure), Page 123. The ukulele has gone the way of all fads. One may look forward to a Summer minus the tinkling of “Aloha, O” throughout a ferry ride and a night’s attempt to slumber. The college boy no longer considers the ukulele an indispensable part of his equipment for higher learning. The high school girl has shelved her “uke” with her slave bracelet. This perception of decline in the popularity of the ukulele might have inspired one plank of a presidential candidate, Mr. Plushbottom, in 1928. 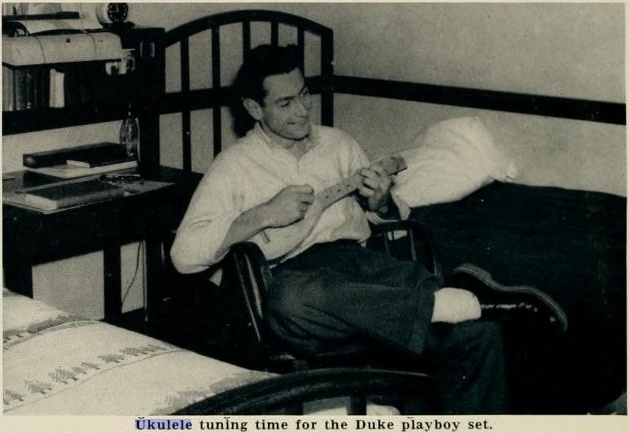 But there is evidence that some college boys saw the advantage of ukuleles in higher learning, at least at Duke University, in the year 1950. Picture from Chanticleer, Duke University, 1950, p. 200 (search — www.archive.org). I suspect (but cannot be sure) that the ukist might be identified on p. 169 of the same publication.